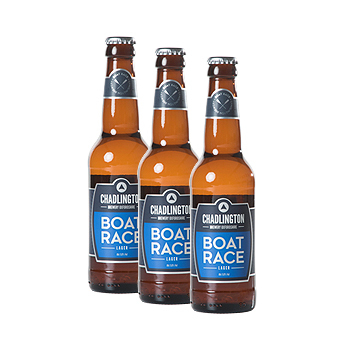 Boat Race provides all the refreshment of a great pilsner with a well-balanced hop aroma, bitterness and crisp finish. Hopped with noble hops and brewed using only the finest English malt, here at Chadlington Brewery we’ve brought a hint of the Oxfordshire countryside to this classic European-style lager. Best enjoyed chilled and only when you’re back on dry land!